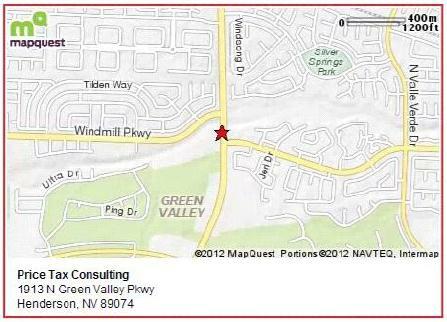 Price Tax Consulting is a full service tax accounting firm located in Henderson, NV. Price Tax has more than 35 years experience in tax preparation, audit representation, bookkeeping, payroll and other business and individual tax planning. We have developed a reputation for professional excellence through the high quality of services we perform for our clients. We can help you with every aspect of your tax preparation and planning, including individual, corporate and partnership returns. In the event of a tax audit Sam Price is an Enrolled Agent and is authorized to appear before the Internal Revenue Service. Price Tax also offers a complete range of bookkeeping and payroll services.